Founded in 1894 under the 1894 Local Government Act Bradpole Parish Council is a corporate body, a legal entity separate from that of its members. Its decisions are the responsibility of the whole body. The council has been granted powers by Parliament including the important authority to raise money through taxation and a range of powers to spend public money. Bradpole Parish Councillors are elected for a four-year term. Contested elections are held providing that more than 10 candidates choose to stand. From time to time vacancies occur on the Council between elections in which case the Council does have powers to co-opt* Councillors. If a vacancy occurs on the Council this is advertised by the Returning Officer in accordance with electoral protocols. If, as a result, no-one is elected to fill the vacancy the Parish Council may then advertise the vacant role based upon the personal skills required to fill that vacancy, much like a job advertisement although it is, of course, an unpaid role. 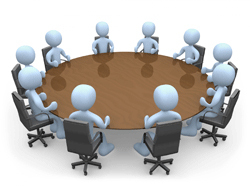 Councillors roles are many and varied, it is the amalgamation of the councillors range of skills that enable the Parish Council to operate as a cohesive and efficient body for the benefit of all residents in the Civil Parish. On average a councillor may expect to contribute 4 hours per week to council matters although this time may not be evenly spread. The Parish Council depends on local people taking an interest in what happens in its community. Local people standing as Councillors can bring forward a wealth of knowledge and community understanding. As more powers are devolved to Parish Councils it means that councillors can make a demonstrable difference in their neighbourhoods. An unpaid volunteer who represents the Council to the Community and vice – versa using all appropriate means. Is a channel of communication for the Parish and ensures constituents are informed of services available; decisions that affect them and the reasons for those decisions. Deals with constituents’ enquiries and representations fairly and without prejudice. Parish Councillors take collective decisions which form the policy of the Council. The policy of the Council will therefore reflect the views of the majority of its members. Bradpole councillors adhere to The Nolan Principles of public life. The Clerk is the proper officer of the council in law. The Clerk provides legal and financial advise and information to support the council’s decisions. The Clerk is responsible for agendas and the recording of the minutes of council meetings. the Clerk provides administrative support and takes action to carry out the council decisions. The Clerk is answerable only to the Council as a whole and not to individual Councillors, Officers of the Council. The statutory and other responsibilities of the Parish Clerk are central to the internal administration of the Parish Council. Unlike Bradpole Parish Councillors, whose work is unpaid, the Parish Clerk is a paid employee of the council and as such does not have a vote on council business but provides support as detailed above and is not answerable to any other body. The Parish Clerk holds a register of Parish Councillors’ declared interests which can be viewed upon request. Bradpole Parish Councillors are unpaid. The Parish Council has not adopted an Allowance Scheme. Bradpole Councillors claim few, if any, allowances and/or expenses thus helping to keep your Council Tax lower than in those Council areas where Councillors’ allowances are paid under an Allowance Scheme. Bradpole Parish Council is politically neutral. Councillors volunteer their time freely for the benefit of Bradpole Civil Parish and all residents of the Community. All members of the public and Press are welcome to attend and listen to the Council in action. An Agenda is published on Parish Council notice boards and on this website at least three days before the meeting. Whilst members of the public cannot intervene in Council business two “Democratic Periods” are available at these meeting to enable members of the public to ask questions of, or make statements to, the Council in respect to business on the agenda. In accordance with the council’s Standing Orders (article 3g) the time allocated for this purpose to each member of the public is limited to 5 minutes maximum. Council decisions are made by a simple democratic and transparent vote thus reflecting the views of the majority of its councillors. The Parish Clerk is normally available for consultations in the Parish Council office at the Village Hall on Thursday mornings between 10.00a.m. and Noon. What the Parish Council can do, and to whom does it refer for matters that are beyond its competence. 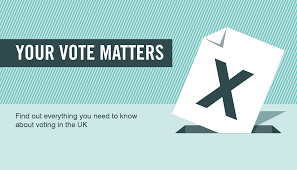 This site will also explain the differences between the “Electoral Register” and the “Open Register” and how you may opt out of the latter if you so wish. The “Open Register” may be bought by any person, company or organisation. Removing your details from the “Open Register” does not affect your right to vote.